Westie cartoon: Minnie goes sailing! Minnie The Westie: Sailor Dog Vacation – The Adventures Of a West Highland Terrier Cartoon Dog At Sea! 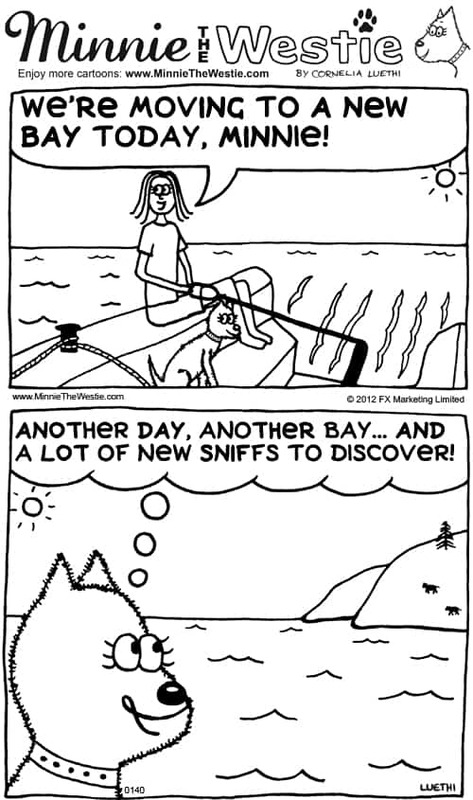 This month’s dog cartoon is from my new book… it gives you an idea of how much fun I have on the boat! Till next time! And remember to get on the Minnie Mail list (it’s free!) for updates on my book!